Product prices and availability are accurate as of 2019-04-15 22:16:46 EDT and are subject to change. Any price and availability information displayed on http://www.amazon.com/ at the time of purchase will apply to the purchase of this product.
? CUSTOMERS OUTSIDE THE CONTINENTAL USA MUST CONTACT US FOR A FREIGHT QUOTE PRIOR TO MAKING A PURCHASE. CONTINENTAL USA SHIPPING PRICES DO NOT APPLY TO PUERTO RICO , ALASKA, GUAM, CANADA & INTERNATIONAL. ? 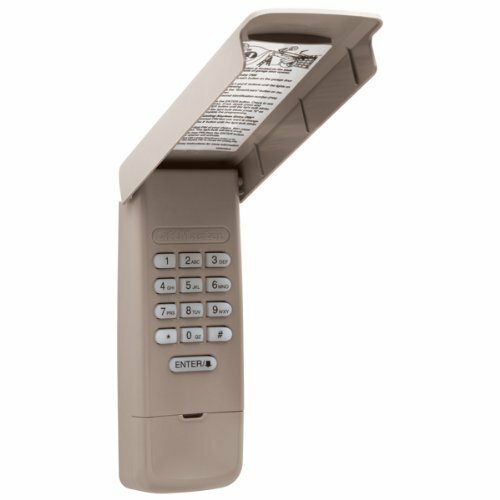 COMPATIBLE: 877MAX Keypad Compatible with all LiftMaster garage door openers manufactured since January 1993 ? Security+2.0 and security+ rolling code technology assures a new code is sent every time ? Completely wireless powered by one 9-volt battery (included) ? NOTE: TO PROPERLY PAIR THIS KEYPAD WITH YOUR OPENER PLEASE REFER TO STEP 3 IN THE ENCLOSED INSTRUCTION MANUAL. This keypad should work with most Liftmaster openers from 1993 to present.